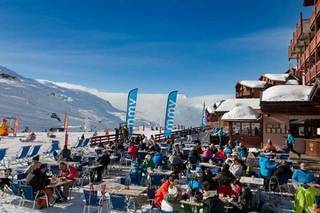 Ski hotels in Les arcs : compare ! Your ski hotel in Les Arcs offers you to share the lively life of a dynamic and pedestrian resort! You can also take advantage of your ski hotel in Les Arcs for après-ski activities such as snowshoeing or cross-country skiing. You will also appreciate your ski hotel in Les Arcs which allows you to access the 200 km of slopes of the domain. You wish to make a ski hotel reservation at Les Arcs: thousands of ski hire offers in Les Arcs are available on Ski Express! For your ski hotel Arcs, you will have the possibility to rent a room in Bourg Saint Maurice, or prefer a stay close to the ski slopes as in Aime 2000, Belle Plagne or even a stay in a ski hotel in Arc 1600. You can reach the various altitudes thanks to the links in place, and in particular to share many activities and fun experiences at Mille8, the leisure center at Arc 1800. Ski Express helps you book your ski hotel in Les Arcs by comparing prices! You will be able to use our search engine to find the offers of ski hotel rental in Les Arcs proposing the services you desire and compare rates to find the cheapest rental.